Treatments include a variety of Europain, Asian and Thai options using pressure points, Thai sen or meridian lines, salts, clay, oils and herbs. 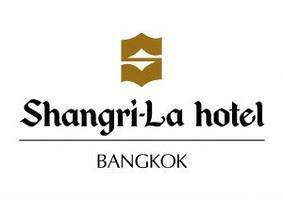 CHI, The Spa, at Shangri-La Hotel, Bangkok, was launched in 2004 with a groundbreaking design and spa philosophy. The spa was founded to complement the legendary Shangri-La hospitality, creating a multiple award-winning private utopia. In traditional Chinese philosophy, ch’i or “Qi”is the universal life force that governs wellbeing and personal vitality. For good health to be maintained, it is believed that ch’i must flow freely within the body and, when blocked, "dis-ease" and illness follow. Movement is therefore a key element in releasing blockages. Body massage, exercise, stretching, hydrotherapy, and movement of the mind through relaxation and meditation combine to assist the body's natural renewal and form the basis of the CHI spa philosophy.